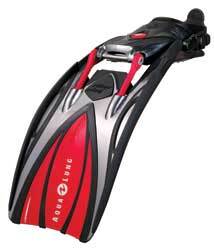 Worn on the feet to increase maneuverability and allow for faster swimming. A great point of discussion between divers - who has the fastest and most efficient fins. See split fins.